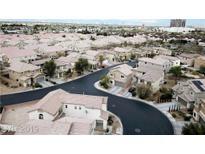 Below you can view all the townhouses for sale in the Nevada Ranch subdivision located in Las Vegas Nevada. Listings in Nevada Ranch are updated daily from data we receive from the Las Vegas multiple listing service. To learn more about any of these townhouses or to receive custom notifications when a new property is listed for sale in Nevada Ranch, give us a call at 702-323-5986. Gated Community Features Pool And Clubhouse. A Great Investment. MLS#2089648. Brady Realty Group, LLC. NOTE: Check for what's still available. MLS#2088370. BHHS Nevada Properties. Did i mention that community has pool and park... You will definitely want to see this home. MLS#2083828. Realty ONE Group, Inc. Wonderful 3 bedroom & 2 car garage Townhome*Man-made wood floor & Tile*VAULTED ceilings*Two-Toned paint*NEW appliances, PANTRY*Flowing floorplan w/natural lighting*New lighting & ceiling fans*NEW HVAC*Solar Screens*NEW hot water heater*Extra storage shelves in garage*Backyard offers TREES & Turf*Fridge included*Security Door*NEST System*Water Softener*Many amenities gated community, security, pool, large park, community trails, & nearby shopping. MLS#2080941. RE/MAX Excellence. Buyer and Buyer's agent to verify all info! MLS#2081177. Signature Real Estate Group. Master bedroom with a walk out balcony. 2 Car garage and backyard. 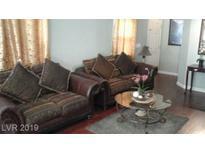 MLS#2077297. Keller Williams Realty Las Vegas. Walk to school. Close to everything! MLS#2075397. Realty 360. SERENE master suite has VAULTED ceilings and WIC! EZ to maintain LS! MLS#2061924. Maxim Properties. This is a Three bedroom two and half bath ,TWO car garage with community pool and park in a gated community. Is a Traditional sale MLS#2038871. Realty ONE Group, Inc.